Metal matrix composite components and materials, primarily comprised of aluminium for use in the engineering and manufacturing industries. Alvant specialise in designing, developing and producing the composite for well-known clients such as Ford and Safran. In the last financial year, Alvant achieved a turnover of almost £617k and has invested more than £10m towards manufacturing and testing their own product. Alvant is now raising funds to distribute their components to a wider market and expand the number of commercial applications that would benefit from their materials. The below content is from social media taken from external sites and is not representative of the views of businessagent.com or Alvant. 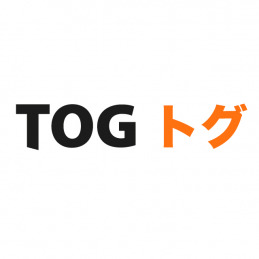 TOG designs handmade kitchen knives that are forged in the Samurai sword. By working with craftsmen in Seki, Japan, this company has produced knives and a brand that met its customers' needs. It has been endorsed by ten Michelin star chefs and appeared on cooking shows such as Masterchef. In 2017 and 2018, TOG Knives reached 18k profit (EBITDA £19.5k). Currently, it is aiming to be the UK's No.1 premium knife brand by helping people realise how enjoyable food preparation is, only if, one owns the right knife. With the fund raised, it will purchase stock, grow its team, shift its staff to full time and hiring new people. 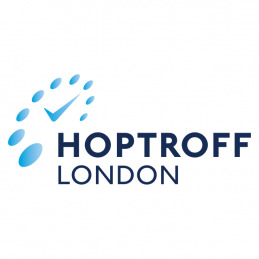 Hoptroff offers a global Traceable Time as a Service (TTaaS). It verifies and corrects incorrect server clocks to microsecond accuracy thus making timestamp records of computer transactions trustworthy. This technology's precise time feed is set by Hoptroff's atomic clocks in its time hubs which are situated in London, Tokyo, and New York. Furthermore, with its partners BSO and BT networks, it delivers the feed anywhere in the world over low latency fibre connections. It already has 9 financial services customers and is also working with its partners to pursue a pipeline of potential new customers. It is raising funds to increase sales and marketing efforts, particularly, in Africa and the Asia-Pacific regions. It will further move on quickly to exploit the global Financial Services market which is worth £0.7bn and enter new markets such as TV broadcasting. 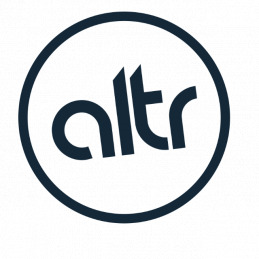 Altr is an e-commerce startup that specialises in male grooming and cosmetics. It is a brand that is committed to helping men look and feel more confident. The company adopts a B2C business model with the aim to reconstruct male cosmetics from a niche into a mass-market essential. The company retails through its own website and supplies across the UK, the US, Italy, and Spain through Amazon. In December last year, the company recorded a monthly turnover of £45k, doubling sales month on month (Oct-Dec). The funds raised will be used to increase product range and expand internationally. Metal matrix composite components and materials, primarily comprised of aluminium for use in the engineering and manufacturing industries. Alvant specialise in designing, developing and producing the composite for well-known clients such as Ford and Safran. In the last financial year, Alvant achieved a turnover of almost £617k and has invested more than £10m towards manufacturing and testing their own product. Alvant is now raising funds to distribute their components to a wider market and expand the number of commercial applications that would benefit from their materials. To enable all of the features of the site and view this pitch on Envestors, please fill in your information below. We are not responsible for the content of the Envestors website and we do not accept any liability. By proceeding to this pitch you are accepting these terms. To enable all of the features of the site and view this pitch on Envestors, please sign in below. We are not responsible for the content of the Envestors website and we do not accept any liability. By proceeding to this pitch you are accepting these terms.